We are heading upstate to my nephew’s graduation from the United States Military Academy at West Point. A bittersweet event, as it culminates 4 years of his being close to our home. We have shared some great times with him and his friends, who became regulars are our dinner table (and laundry room!). After this he is off to Oklahoma, Colorado Springs and most likely, Afghanistan. We are looking forward to President Obama’s commencement speech; the very conservative Republican extended family’s imminent criticism of it, not so much. Should be very interesting. I promise a full report when I return! It’s been awhile since I have posted an unrecipe. It seems that life has been so busy that I haven’t had time to experiment, and have been relying on many of the old standbys that I have shared with you already. Tonight, Bailey and I made palmiers,the French puffed pastry cookies that resemble elephant ears. Although they look quite complicated, thanks to the folks at Pepperidge Farm, who make great frozen puffed pastry, they are incredibly easy to make. Mix 1 cup of sugar and a little salt and spread half of it out on the counter top. Gently open up the thawed puff pastry, sprinkle it heavily with the sugar mixture and roll it slightly so it becomes a square. This should also press the sugar into the dough on both sides. Fold the two sides so that they meet in the center. Fold the sides into the center again, and then fold in half like a book. This will give you a long roll with 6 layers of dough. Slice the dough into 3/8″ thick pieces, and place them cut side down on a parchment paper lined cookie sheet. Bake at 450 degrees for 6 minutes, until the sugar carmelizes on the bottom. Turn them over and bake another 4 minutes or so. Be careful not to let them get too brown. 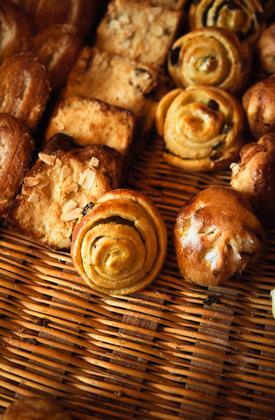 Tip: Thaw the puffed pastry over night in the refrigerator and roll while it is cold. Karl Lagerfeld is known for his namesake collection, as well as his work for the house of Chanel. A renowned tastemaker, with a love for the theatrical, Lagerfeld has had a profound effect on the world of fashion. 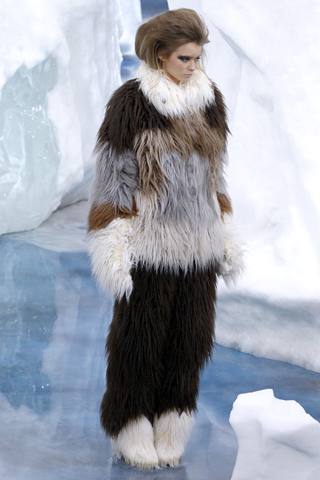 Lagerfeld showed his Fall 2010 collection on an iceberg, recreated in Paris for the show. In an oddly executed collection, featuring lots of fur and folk influences, it veered strongly into ridiculous territory. Really Karl? Who did you design this for? Yetis who lunch? Fur pants? Not exactly flattering, comfortable or practical, let alone the social- political implications of wearing fur. We all make bad choices, but frankly, this one was a doozy! At least 10 people responded immediately telling her that she was indeed, not wrong at all. A few suggested letting her daughter wear blush, lip-gloss and a light coat of mascara as a compromise. Today, as I was reading the New York Times ‘Thursday Styles” section, I stumbled upon an article discussing the same topic. According to NPD Group, a consumer research company, the use of cosmetics in tween girls is up this year. Statistically, 18% of all 8-12 year olds are wearing mascara, 15% are wearing eyeliner, and 15 % are wearing lipstick. Over 66% of the girls polled credited a family member or adult family friend with helping them acquire and apply their makeup. While adult makeup sales are down, the use of tween and teen makeup is growing steadily. As we question the motivation of our little Lolitas trying to appear older, it is important to note the actual health risks of cosmetic use in children. In a recent study done by the Mount Sinai School of Medicine, girls younger than age 10 with early onset of puberty had a high incidence of endocrine disruptors found in some nail polishes and cosmetics. There is also concern over skin damage caused by the chemicals in makeup, and the potential allergic reactions suffered by the overly sensitive skin of a child. Some companies, such as Neutrogena, use different formulations in products marketed to a younger clientele, although they declined to share their proprietary technology in the article. As I watch my own daughter teeter on the cusp of being a baby and an adolescent simultaneously, I struggle with keeping her innocence and letting her be her own person. I have found that my instincts are my best guide. Knowing that there are potential health risks involved will help me make an informed decision when the situation arises. Lately, I have had several conversations with people who, at the top of their professional games lost their jobs. After long and frustrating periods of unemployment, they are finding themselves in new and very different roles. Many have taken positions with start -ups, or much smaller companies. Some, like me, have diversified a bit. All are earning a fraction of their previous salaries. Although nobody is happy with this financial shift, all are thrilled to be working, and feel a renewed sense of self worth and creativity that had diminished during their unemployment. Clearly, life as we know it may never be the same. After more than 2 years of life altering events, it sometimes felt like the proverbial world was coming to an end. Lately, there are signs of economic hope that lead us to believe that the world is slowly coming alive again. While things may never return to what they were, a new normal will prevail. This moment in time reminds me of a scene in the movie “WALL E”. 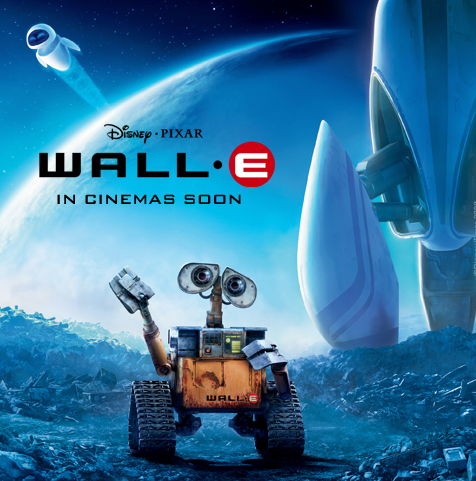 In this wonderful Pixar animated story, life on Earth ended, and everyone that survived were living in outer space, being shuttled around on moving chairs, slurping some concoction from large glasses passed to them by robots. Every so often, a probe was sent down to see if the planet was inhabitable yet. On the ground, all that survived was a rusty old robot named WALL E, and an intrepid cockroach. Much action ensues, but at the end, the probe comes down and sees that a tiny sprig of greenery has poked through the dry and withered Earth. At this point, we realize that in time, there will be life on Earth again. It won’t happen quickly, and it won’t return to what it was (and what we plainly took for granted and abused in the first place) but it will return. That moment of optimism is a powerful one. As we stand here surveying the damage to our world and dealing with the fallout, it is a relief to see that metaphorical little leaf emerge.It is important for us to recognize what that little sprig of hope means to our future; for us to nurture it and appreciate how fragile it is. We are on the precipice of the next phase of our lives. It ‘s up to us to design our own destiny, and to create our next legacy. Even some of the best fashion designers in the world have off moments. 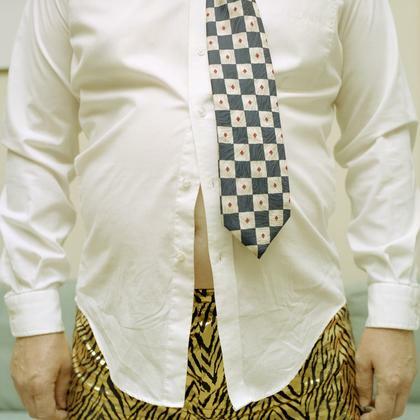 Today we premiere a new feature about the occasional lapses in sartorial judgment by some of the best in the business. Reed Krakoff, the creative genius behind the renaissance of Coach, and a Ralph Lauren /Tommy Hilfiger alumni, premiered his first collection under his own label for Fall 2010. 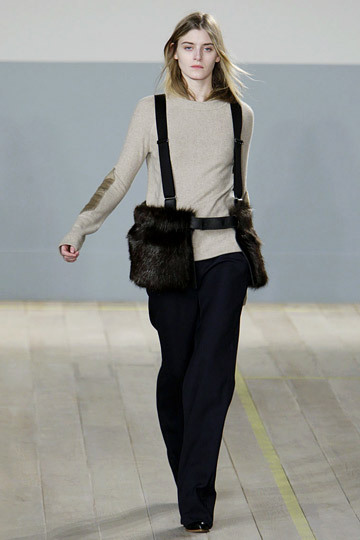 Here we see his suspendered fur pouches shown over a simple sweater and trouser. Really Reed? Really? I mean, what woman wants to have straps pulled across her bust and 2 large poufs of fur accentuating her hips? 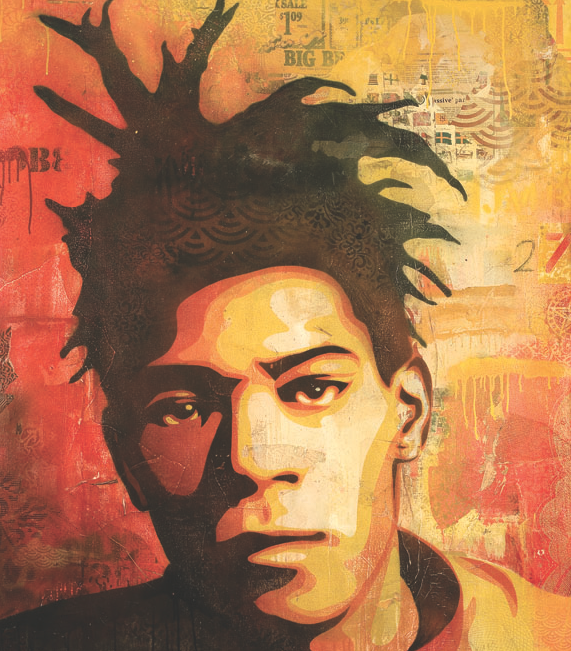 Shepard Fairey is at it again, painting murals on various locations around New York City. In conjunction with the final exhibition at Deitch Project, Fairey has painted a large outdoor mural at the Bowrey and Houston site made famous by Keith Haring. A wall at the Cooper Square Hotel, and a spot at the Ace Hotel are also being painted. There are already 6 sites in New York featuring his work, with a rumored 7th spotted on Broadway around 28th Street this morning. The show, entitled “May Day” and a pop up store featuring his work in collaboration with Obey opened this weekend. While many appreciate the art, graffiti artists are bombing the sites regularly , as a statement against his authority as an artist. Fairey, a street artist, is best known for his colorful poster of Barack Obama with the word “hope” at the bottom. Is the Double Down Really Double The Calories? Previously, I stated that KFC’s new Double Down sandwich contained 1229 calories and 81 grams of fat. According to KFC, the sandwich contains only 540 calories, 32 gms.of fat and 1380 mg. of sodium, perilously close to the 1500 mgs. maximum per day recommended by the American Heart Association. Although I appear to have been misinformed, Cityrag.com has done the math, and is currently in dispute with KFC over the actual amount of calories in the sandwich. TOTAL: 1190 calories and 86 grams of fat! Which do you think is more frightening: that Americans are choosing to eat something so incredibly unhealthy, or that KFC is potentially mis- stating the actual calorie and fat contents in their food? Today marked the 20th anniversary of the Church Street Music School in New York City. To celebrate, they hosted an outdoor guitar jam, featuring Mike D of the Beasty Boys, and Andrew W.K. Dozens of young guitarists, as well as local adults rocked out in an alleyway on Warren Street in Tribeca, to such classics as Smoke On The Water, Yellow Submarine and Jason Mraz’s hit I’m Yours. The event is an offshoot of the Tribeca Family Festival, which is being held in conjunction with the Tribeca Film Festival.